Search Engine Optimization(or SEO), undoubtedly a very effective optimization technique, is ubiquitously used by most webmasters, to improve the rankings of their websites in the all major search engine result pages. In precise words, SEO is very helpful in optimizing your website’s pages in all existing search engines and directories available on the internet. SEO technique involves a variety of phases whilst it works constructively in optimizing your website’s performance; the results are consistently very good in terms of maximum profits, traffic and website’s visibility, which are to name a few. However, to define SEO in a single sentence is not possible to a full degree because different people have different definitions of it. Yet, in general, search engine optimization is one of the most widely techniques to get your websites listed in the top ranking of search engines, improving its visibility and attracting the host of targeted audiences. Search engine optimization entails the use of a variety of effective gimmicks and unethical strategies that lead to deliver successful results in the long run of the process. So once you understand what page elements search engines look for while ranking and customizing a website to give it a more viable form, you can overall improve your page ranking according to a keyword or keyword phrase being searched. 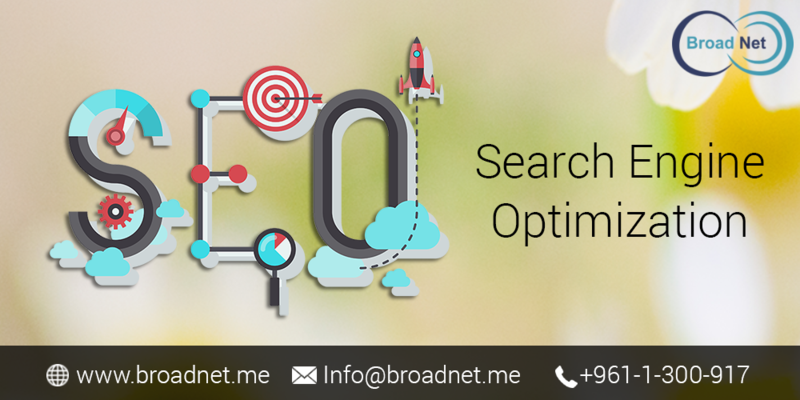 At BroadNet Technologies we have the best and experienced SEO experts who know actually what strategies to apply in your website that can result in giving maximum ranking or visibility in the search engine results of all three major engines viz. Google, Yahoo and Bing. So ultimately if you want to use Search Engine Optimization services for making the most of your website, first make sure what is comprised in these services. At BroadNet Technologies, we can optimize your website satisfactorily according to your needs and without costing a fortune. By long odds, you can fully count on our SEO services where you just have to entrust the project to full-fledged Search Engine Optimization specialists who know best how to generate befitting results for your website.